This morning (October 23rd), Jim Rowan, CEO of the electric domestic products company, issued a statement outlining the reasons for making such a significant investment in the city-state. He cited “supply chains and access to markets” as well as the “availability of the expertise” in production. The factory is to be opened in 2020 and the first vehicle is expected to be built in 2021. Singapore is not an existing location for vehicle production. However, it has very substantial industry in bulk chemicals as well as areas of electronics production such as semi-conductors and pharmaceuticals. Dyson already makes its ‘digital electric motors’ for its vacuum cleaners in Singapore, feeding these key components to Malaysia where the final products are assembled. From Rowan’s statement, this was an important factor. It is also worth noting that he cited supply chain issues as being an influential issue. Crucially Singapore has very good freight transport links to Asia and the world through its airports, its seaport and, increasingly, its road links to the rest of south-east Asia and China. This gives it an advantage in sectors that need to source components globally. In particular it is easy to source electronic and electrical components in Singapore. The pattern of production here is changing as South East Asia becomes a serious rival to China for the production of lower and medium cost components. It is quite possible that battery production will be spread across Asia and beyond. Singapore is at the centre of this supply base. Such decisions strongly suggest that questions around sourcing components such as electric motors and batteries will be fundamental to the future of electric vehicle production. Like the electronics sector, electric vehicle production may draw up a geographically much wider supply chain than the internal combustion engine vehicle supply chain does at present. This will change the criterion for both the location of assembly plants and their nature. Logistics service providers will have to adapt. It is unclear how successful Dyson will be with its future electric vehicle. 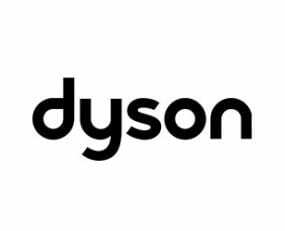 However, with an intense focus on research based in the UK and a globally extensive production footprint, Dyson is an indicator of what contemporary supply chains increasingly look like.